Highly symbolic and eerily beautiful ceramic sculptures that at once draw you in, and repel you. 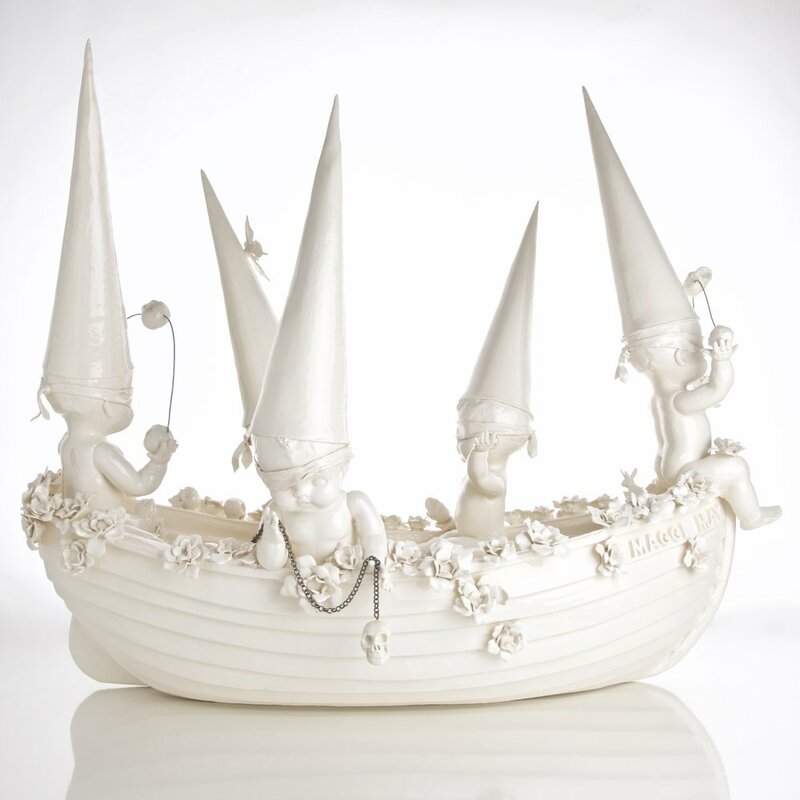 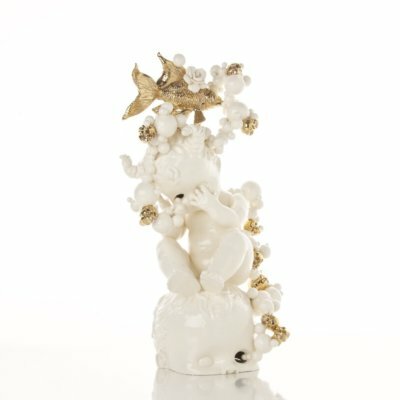 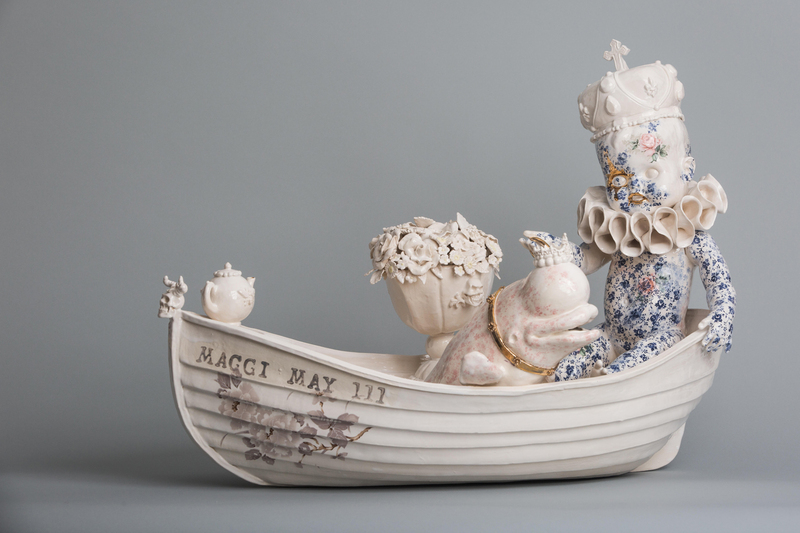 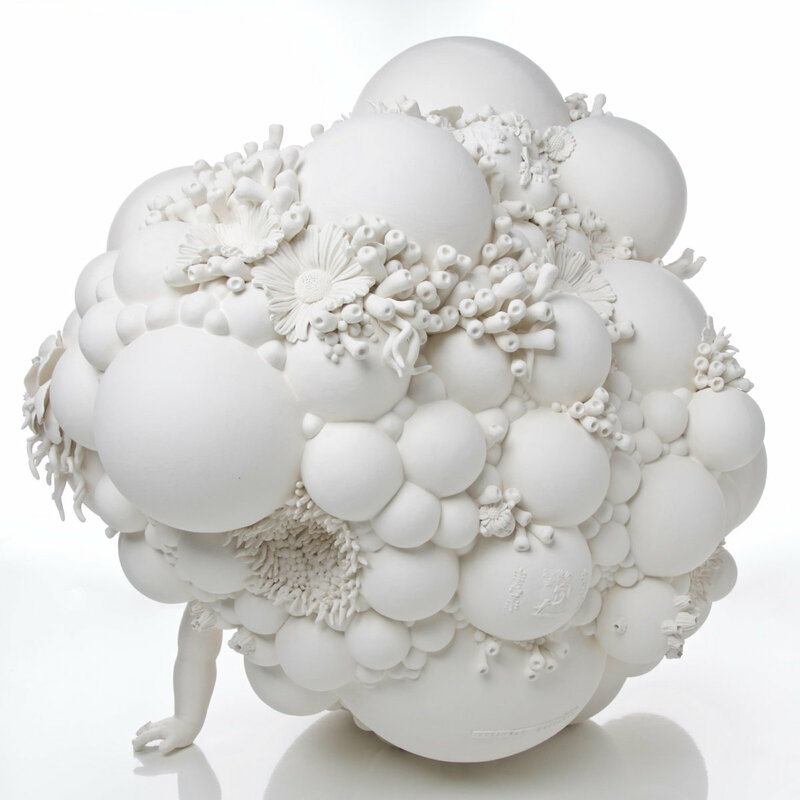 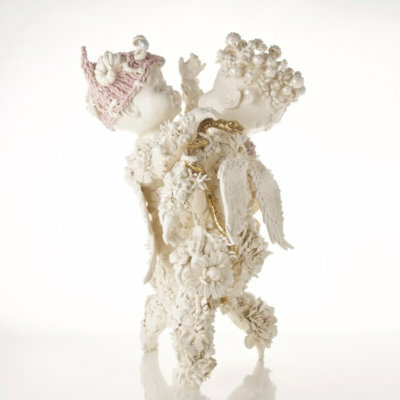 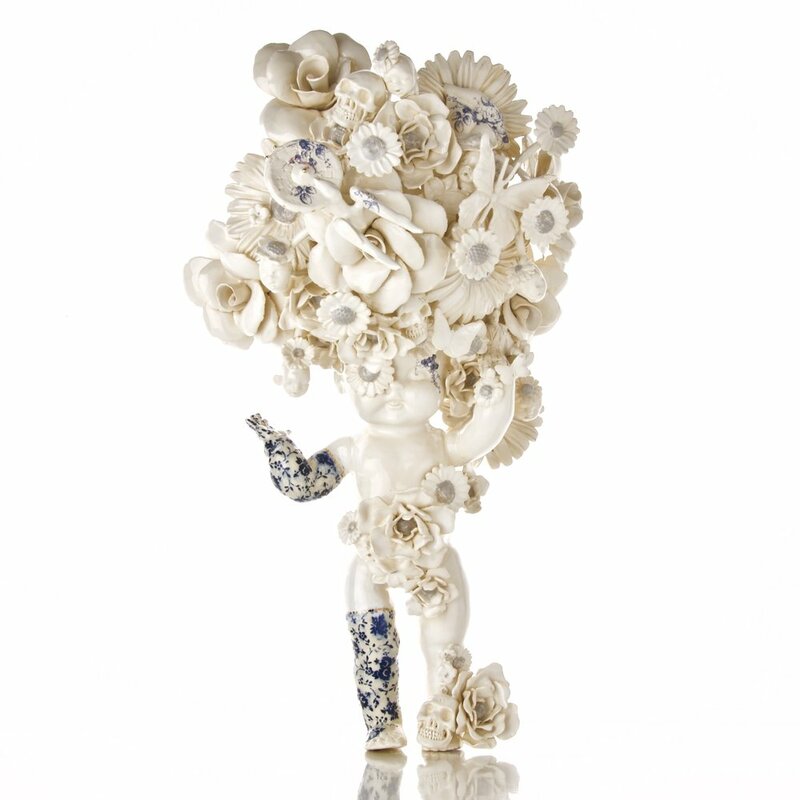 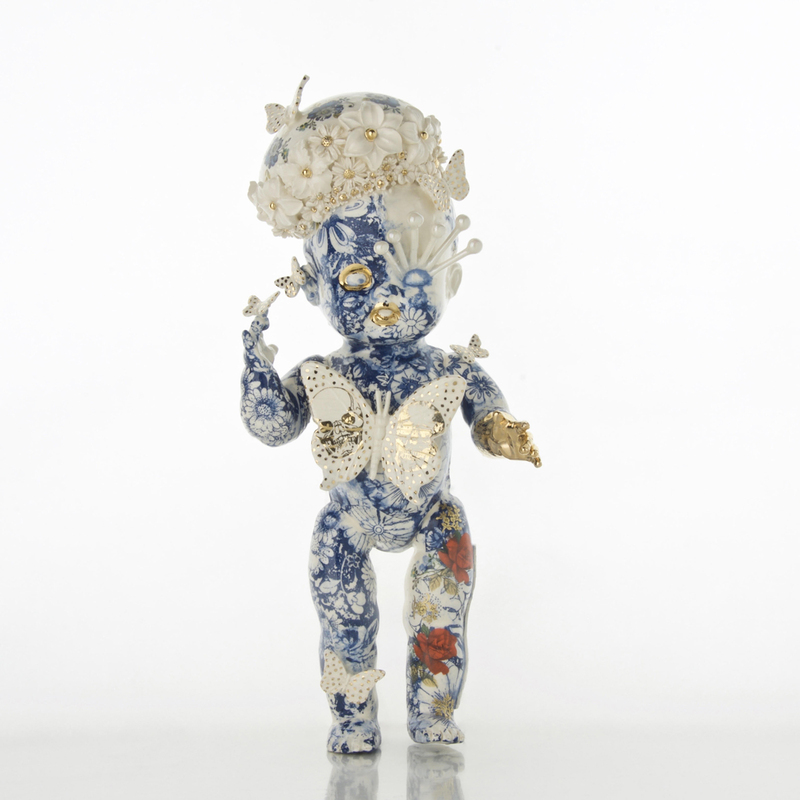 “In each of Montague’s surreal porcelain sculptures, there is a narrative to be discovered. 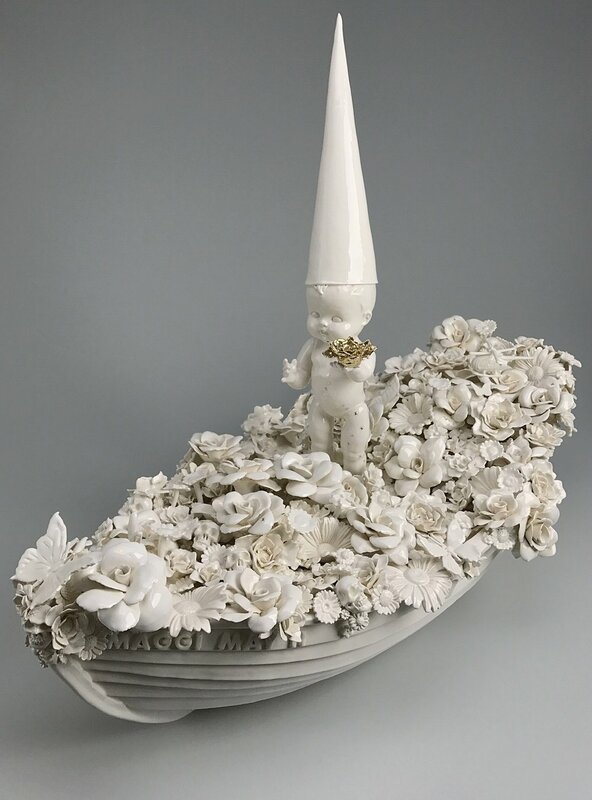 Using a combination of hand building, press molds, and slip casting to build her sculptures, she also references traditions from ceramic fine-craft and art history. 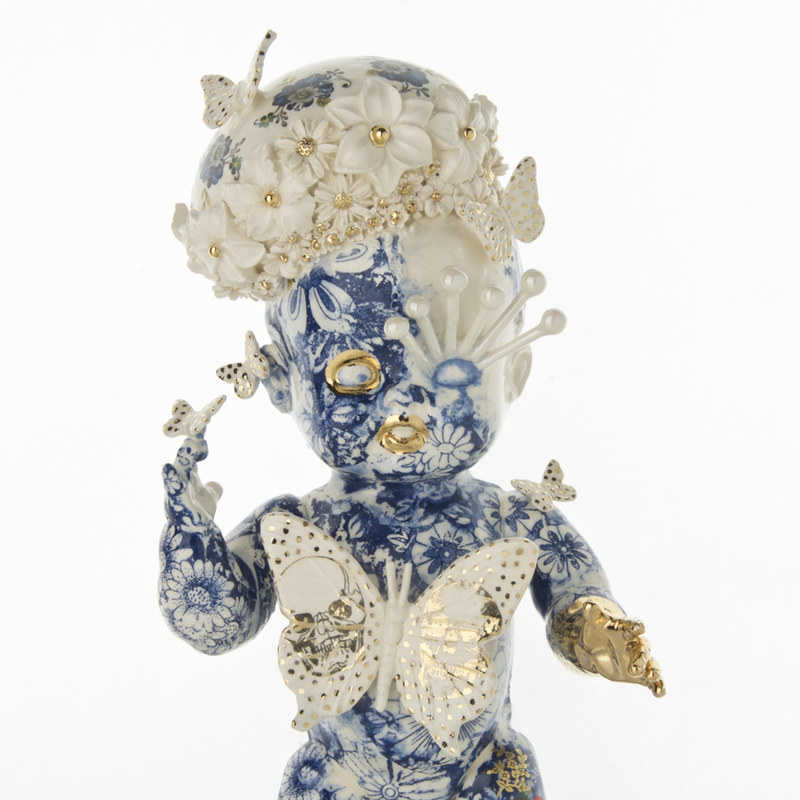 In her most recent body of work, Montague uses symbols such as fading flowers, bubbles, skulls, and insects to represent death and the transient nature of life. These symbols, interspersed with casts of toys including dolls, helicopters, and bunnies take on a slightly sinister feeling in their modern compositions. 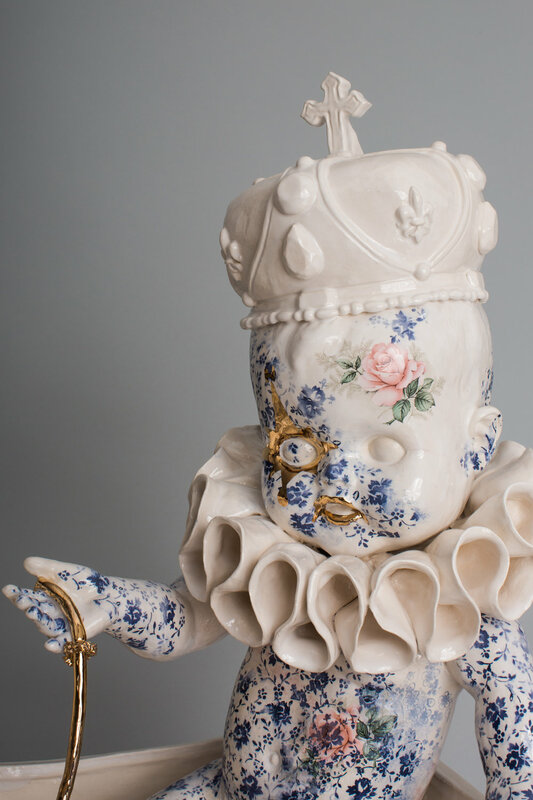 Montague’s exhibition examines the cycles in our lives and asks us to revel in the beauty of the absurd. Susannah Montague is a British born, Bowen Island based ceramic sculptor. 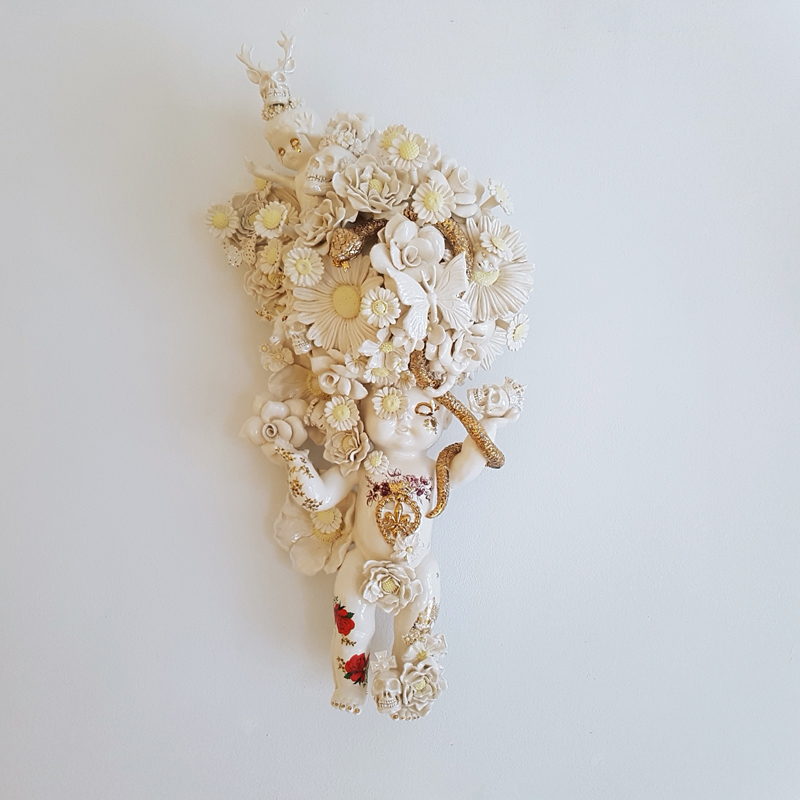 She earned her BFA from Emily Carr University and the Ontario College of Art and Design University.” – Seymour Art Gallery, 2018.